The Department of Posts started the process to fill up the vacant GDS posts by adopting online procedure. First it starts in four pilot Circles and early in other Circles. 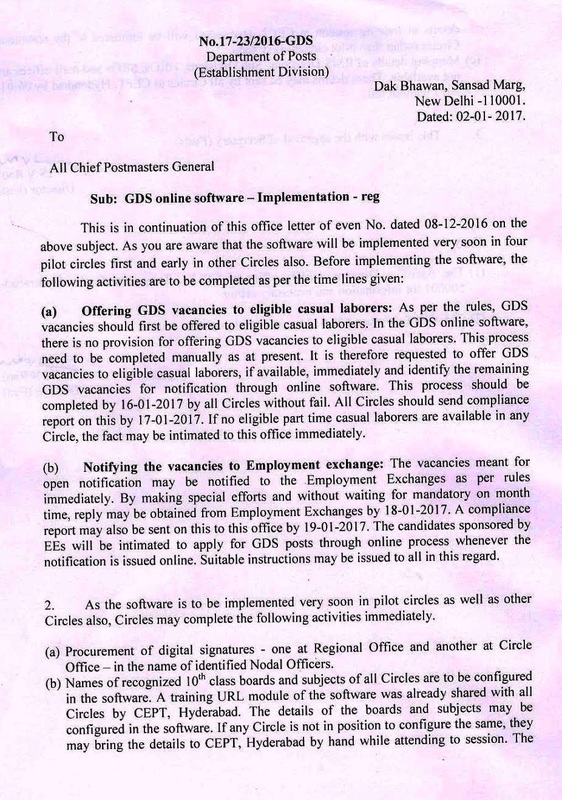 Instructed all Circles to identify GDS vacancies after fill up the vacancies with eligible Casual Labourers by manual procedure. 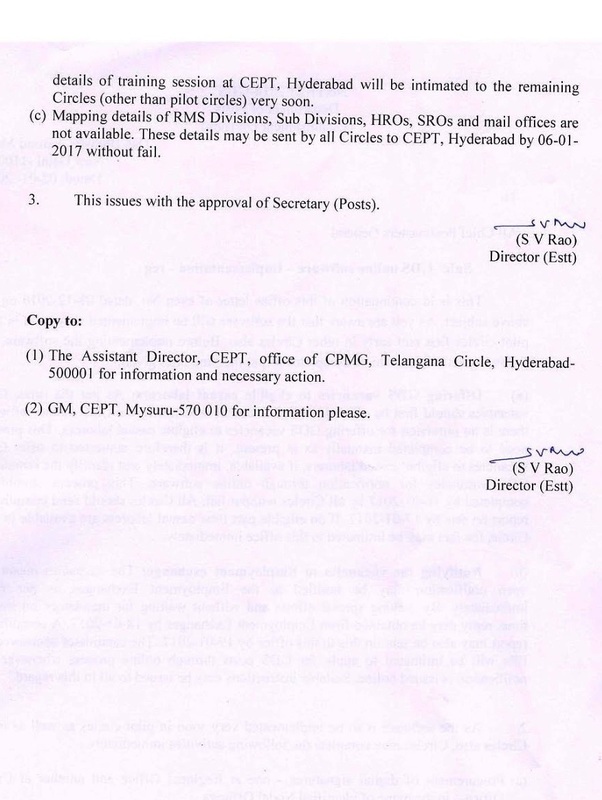 MACP from 1.1.2006 and Increment to 30th June Retired in the offing?? Rotational Transfer orders for the year 2016. LSG Promotion on 09.01.2018 of Cuttack North Division. 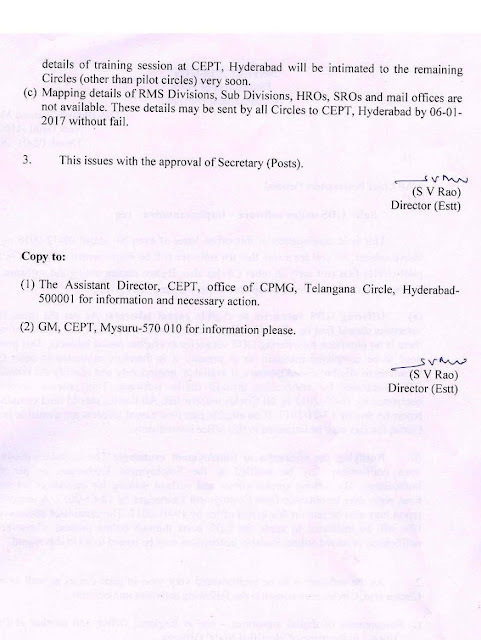 NJCA WRITES TO HON'BLE PRIME MINISTER OF INDIA FOR INTERVENTION / BI-LATERAL DISCUSSIONS ON 7TH CPC DEMANDS. ஒரு எழுத்தாளரின் பதிவில் தபால் அலுவலகம்……..
LSG LIST OF TAMBARAM DIVISION FOR THE YEAR OF 2019. Serving the needy a best thing to do in our life !!!! RESTORATION ON NORMAL BUSINESS HOURS IN POs. AIPEU P3 CHQ. Powered by Blogger.